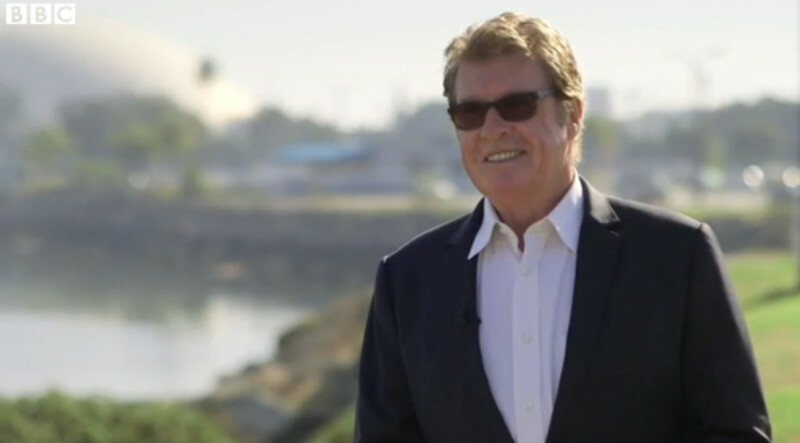 This weekend, Michael Crawford made a surprise appearance at the Huntington Beach Academy for the Performing Arts' production of THE PHANTOM OF THE OPERA in Orange County, California. After watching the performance, Crawford appeared on-stage and met with the students to congratulate the cast, orchestra, crew and production team. Click Here! All of us at the MCIFA are wishing Michael a very Happy Birthday (January 19th)! While in Cambridge, helping to raise money for 'The Sick Children's Trust' Michael talked to ITV News. It will be available online for one month after. A number of M.C.I.F.A. members were in the audience on 15 June, and shared their expericence with us. It sounds like it was a great evening! "Several M.C.I.F.A. members met at the beautiful 12th century Southwark Cathedral, London for the 60th anniversary of Noye's Fludde. Michael, now playing The Voice of God, originally had the role of Jaffett in the original production in 1958. The first half consisted of the BBC Singers performing 2 pieces of music, Sacred and Profound Hymns with medieval lyrics and Rejoice in the Lamb. Fortunately, the programmes contained the words with a modern translation. It was better sung in the Old English as the translation was rather depressing if not morbid. Nevertheless, it was superbly sung, one verse for soprano by a young boy. The smile on his face at the end was amazing. After a 20-minute interval and another rehearsal of community singing, the orchestra, main performers and children were introduced with a resume of the plot. Michael entered from the choir stalls, dressed in white open neck shirt and black trousers, and went into the Pulpit. Sounding clear and loud he opened with the first of five vocal dialogues he had in the play (he didn't sing). When not appearing, he descended the Pulpit and sat on the steps. Using the minimum of props, the storm scene was done by a great deal of swaying, open umbrellas and music with great affect. Children wore handmade masks of the animals on their heads and seemed to thoroughly enjoy themselves. The concert lasted just over two hours. When the music and singing had finished, we were good audience members and waited for the conductor’s signal before applauding. It seemed to go on for ages. Michael, with a large smile on his face, took his bows with everyone else. At one lull it looked as if he was going off, but was quickly brought back and the applauding went on further still. He is clearly very loved here in his home country. He happened to walk by us after the show and thanked us for coming. All in all, it was a very special evening." In celebration of the 60th anniversary of Benjamin Britten’s Noye’s Fludde, Michael is scheduled to appear at ‘A Britten Celebration’ at Southwark Cathedral on Friday, 15 June 2018. He will have a speaking role as the Voice of God. Noye’s Fludde is a one-act opera of the tale of Noah’s Ark, and is primarily for amateur performers, particularly children. Southwark Cathedral is where it had its first London premiere in 1958. You can book tickets at the following link https://www.bbc.co.uk/events/eqgwxjThis is very exciting for Michael, since he appeared in the original performance in 1958 playing Jeffett, the oldest of the three sons. In 2013, Michael was part of a retrospective about Benjamin Britten. In an interview, he said: "And, I was 14, I suppose 15 by then, and my voice had slid down slightly, so he changed the key!" He further added, "I've got the score still! All the dots are his - he did all the transposition. It was very exciting to try it all out." Additionally, as for Britten himself, Michael said, "He just spent any amount of time we needed because he was a kind man. He was generous." View the video clip of Michael discussing Benjamin Britten below. We hope some of you can join Michael at this special celebration! To celebrate this amazing milestone, BroadwayWorld checked in by phone with Michael Crawford, from New Zealand. Click Here to Read. January 19th is a date that Michael Crawford fans around the world celebrate! The world is a better, more gentle place with the presence of his remarkable talent as well as his genuine goodness and decency. We are all grateful, and wish a Happy, HAPPY BIRTHDAY to you, Michael!! 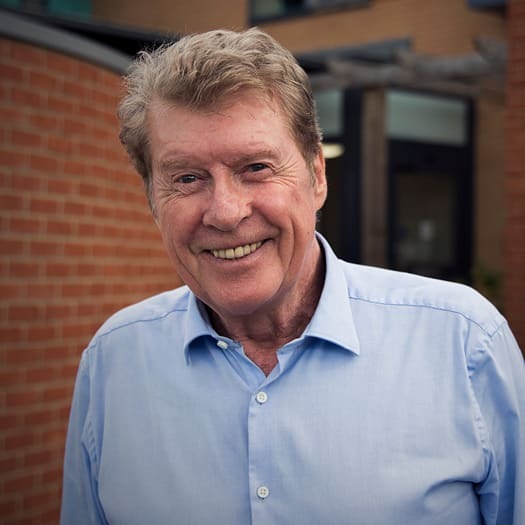 From the Sick Children's Trust - Before Christmas, our President Michael Crawford CBE was filmed spending time meeting families in our ‘Homes from Home’. They shared their experiences of having a seriously ill child for the BBC television appeal. The resulting programme will be shown on Sunday 21January at 3.15pm on BBC One. As a charity which relies entirely on voluntary donations, Lifeline presents an exciting opportunity for us to raise awareness of our work and generate essential funds to keep our ten ‘Homes from Home’ running, supporting around 4,000 families every year. 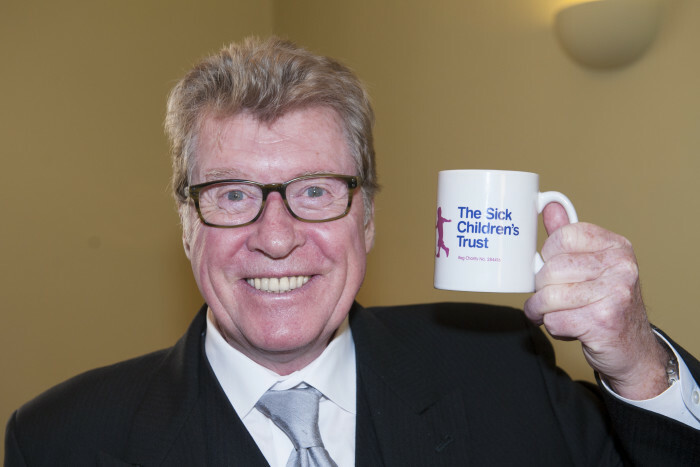 Michael Crawford, says: “I have been President of The Sick Children’s Trust for over 30 years and it remains a remarkable charity in both the simplicity of its mission and the huge impact its work has on families and children. “I still remember to this day being left alone on a hospital ward as a child after I underwent surgery to remove my tonsils. I was terrified as I waited for my mother to collect me, a wait that felt like an eternity. The relief when she walked through the doors and gave me a kiss and a hug was overwhelming. That worry is a feeling I do not want any child to ever have to endure. “That’s why I support The Sick Children’s Trust and remain so committed to this cause. As a charity, we are working towards a future where every child will be able to have their family by their side as they undergo treatment in hospital. “When I meet the families who so vividly share their experiences, I am so incredibly proud of the support The Sick Children’s Trust provides, making life just that little bit easier for mum, dads, brothers and sisters who are facing unimaginable distress. Make sure you tune in on Sunday 21 January at 3.15pm to watch the show! You can also follow us on twitter to see behind the scenes details and find out more about the families featured. Support our Lifeline appeal here. You can also watch the programme online on iplayer from Monday 22 January. Michael Crawford and Evan Burrell joins Lucy Dahill in the 2HHH studios to talk about the magic of Christmas and the gift of giving. In a time-poor and distraction-rich world your presence, your love and your connection are the greatest gifts you can offer another. West End legend Michael Crawford guided seven well known celebrities through an all singing, all dancing musical theatre extravaganza, coming to ITV this Christmas. Watch a clip below of the opening! In the UK? Click here to watch the FULL show! Hosted by Freddie Flintoff, All Star Musicals featured a cast of famous faces who will each perform an iconic number from a hit musical at the legendary Palladium Theatre in London's West End. Along the way they will be guided by one of Britain's best loved musical stars Michael Crawford, who will be on hand to offer guidance, advice and encouragement ahead of their big performance. With both Tony and Olivier awards to his name, Michael has amassed a West End career spanning five decades. Presenter Freddie Flintoff will soon himself be no stranger to the stage, as he will be making his debut in Fat Friends the musical later this year. 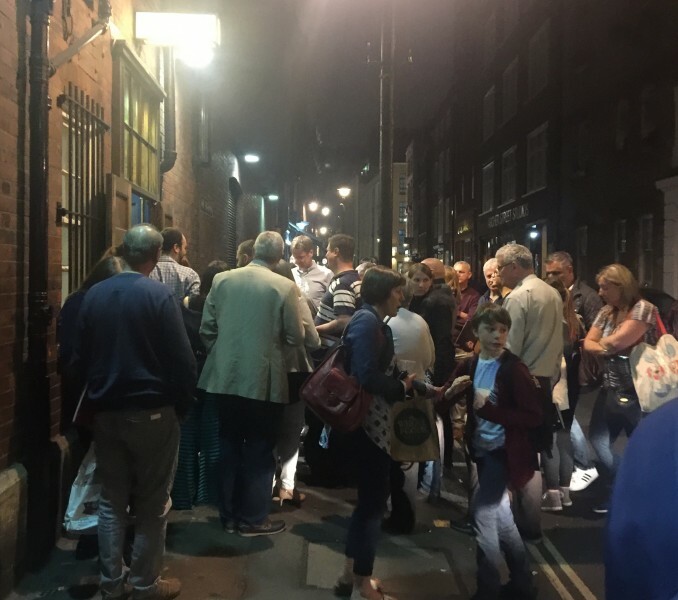 The show will feature numbers from a range of famous musicals, including Chicago, Evita and Guys and Dolls, with the theatre audience deciding at the end of the night whose performance wowed them the most. Siobhan Greene, Head of Entertainment Commissioning for ITV, said "All Star Musicals is going to be the ultimate night out, in. 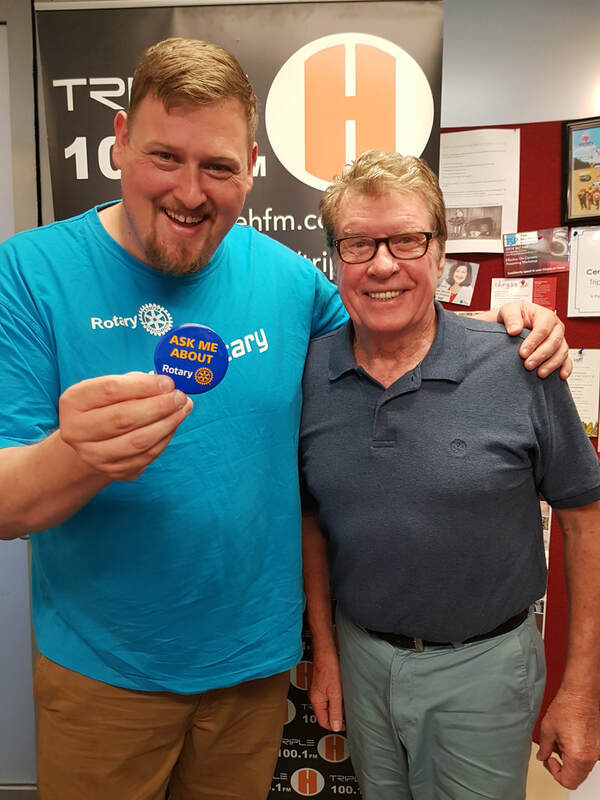 I am so excited that Michael Crawford has agreed to take part and with Freddie Flintoff hosting too, the viewers have a real treat in store, with our fabulous cast performing in some truly iconic musical numbers." Richard Hastings, Creative Director for Shiver, said, "All Star Musicals will be the ultimate 'Night out at the Musicals', with the legendary Michael Crawford guiding and supporting our celebrities to create a completely unique and magical event'. All Star Musicals was commissioned by ITV's Head of Entertainment Commissioning Siobhan Greene and will be made by Shiver. It will be executive produced by Fiona Clark and Richard Hastings, and produced by Iona Mackenzie. Even though he looks like - and has the energy of - a 50 year old, Mr. Crawford is indeed celebrating his 75th birthday on January 19, 2017. In honor of this very happy occasion, we have today rolled out our completely refurbished and updated website. It has a responsive design, so should display well on all your devices from phone to tablets to computers. We hope you enjoy it! An ESPECIALLY WONDERFUL feature is the interactive career timeline at the top of the Home Page. Click on any of the 'flags' and you will be given additional information about each of the career events as well as many fantastic videos and photos related to each event. This is truly the only place on the web (or anywhere else) where you can find this detailed chronicling of this amazing gentleman and his spectacular career...thus far! There are many other new features and enhancements to other sections of the site, in addition to the above mentioned timeline. Explore and enjoy! "I'm going to miss this. I don't know...what... but even if this is the last thing I ever do, I shall be very happy." With those words, Michael exited the stage of the Apollo, after completing this limited run of "The Go Between" which began last May. He became involved with the project over two years ago after falling in love with the music and the unique staging of this well loved classic story, and was a major force in bringing its West End appearance to fruition. Michael praised the company for "truly being a team" and so supportive of one another, and that in 62 years on the stage, he had not experienced any better. He especially praised the six young boys for being so "disciplined", something he said was far too "naughty" to have done when he was their age. He has said Leo Colston is his most demanding role ever, and his presence on stage, literally the entire show, plus the vocal demands of Richard Taylor's beautiful score (described as a blend of Stephen Sondheim and Benjamin Britten), may make the end of the run a bit of a relief along with the sadness. Leo Colston's last line of the show, as he clicks off the single dim light on the stage before walking slowly away, is "...I am content." And so, evidently, is Michael Crawford. Let's just hope he walks back on stage in the not too distant future. The Really Useful Group streamed live onto Facebook the pre and post show activities for the 30th ?anniversary of Phantom's opening in London. They did not reveal ahead of time who their "special surprise guests" would be at the Special Finale Event. But as the Finale ended, the entire cast & company parted in the middle and honored the original Phantom, who made his way downstage to a huge standing ovation - as he had done hundreds of times on that very stage. Michael had raced over to Her Majesty's after finishing the evening performance of "The Go-Between" at the Apollo, and was rewarded with well deserved appreciation. THE GO-BETWEEN Opens to Standing Ovation in London ! 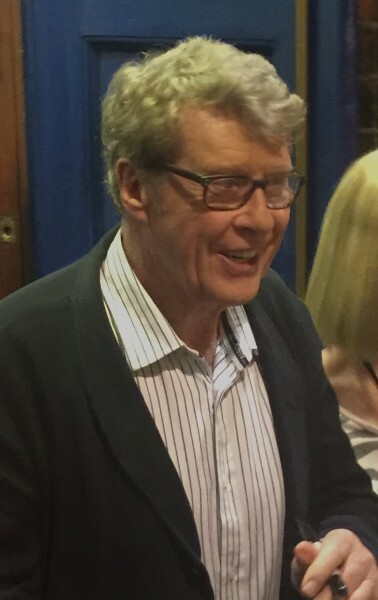 The Apollo Theatre was chock full for Press Night on Tuesday, June 7th, and they and the few public seats that were to be had, provided Michael Crawford and the entire company with a standing ovation. Clearly, "the great man's" return to the West End was heartily welcomed, and this small "gem of a production" was well received by an audience that has known and loved the story for decades. A relieved and happy Michael greeted fans at the stage door prior to departing for the opening night party. Michael has said this is the most demanding piece he has ever done, and the intensity of his performance and his constant presence on stage, prove this out. If you can get to the Apollo during this limited run (20 weeks ending October 20th), DO SO. It is a masterful, iconic, Michael Crawford performance. Congratulations to Michael and the entire creative team - well done! Click Play above for a clip of Michael singing 'Butterfly' - for production photos, click here. First Two Previews of The Go-Between Receive Standing Ovations! 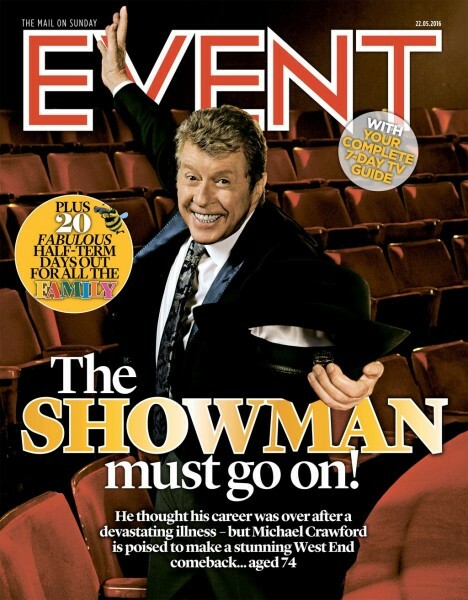 Michael Crawford has officially returned to the London stage, where previews kicked off this week to standing ovations! After demanding performances, where he is onstage literally the entire performance, Michael graciously signed programmes for the large crowd of fans at the stage door. MICHAEL TO RETURN TO THE WEST END! 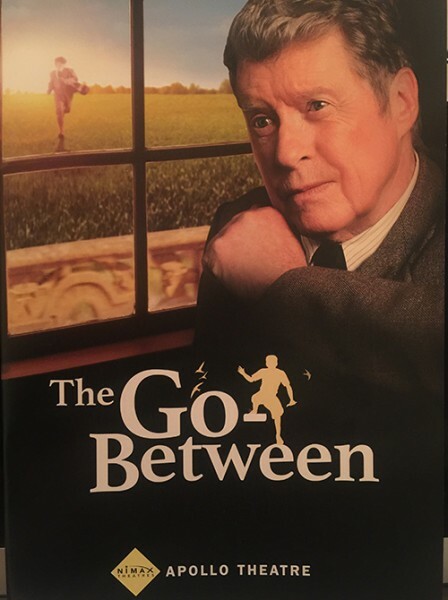 Michael Crawford will return to the London Stage in a new musical, based on the famed novel THE GO-BETWEEN. The production will begin performances on May 27th at the Apollo Theatre in London's West End. The production will mark Crawford's return to the stage after most recently appearing in THE WIZARD OF OZ at the London Palladium and will open on June 7th. THE GO-BETWEEN is a novel by L. P. Hartley published in 1953. His best-known work, it has been adapted several times for stage and screen. The musical's creative team includes composer Richard Taylor, writer David Wood and producers Joseph Smith and Bill Kenwright. Michael brought back his iconic comedic role as Frank Spencer in a BBC One special for Sport Relief Night on March 18 at 7pm. If you're in the UK and missed it, it's downloadable here. 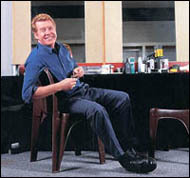 Michael is "...thrilled and delighted to have been asked to bring Frank Spencer back for Sport Relief." This year's event raised a record breaking £55,444,906! Below, watch Michael on the live broadcast talking about the sketch and the charity, plus a new interview! The UK based Sick Children's Trust has long been one of the M.C.I.F.A. 's 'official' charities, and much of the US$1 million+ that we have raised has been given to this amazing organization. Michael is the President of the Trust, and takes every opportunity he can to support their efforts to provide 'homes from home' to families with hospitalized children. On TUESDAY, OCT 13th Michael hosted a 'tea and fizz' fundraiser for SCT.It was a great success, and Michael very much enjoyed the day. During his 'chat time' with attendees, he denied rumours in the press that he would be doing a renewed version of Some Mothers Do 'Ave 'Em, but he is actively pursuing other projects. Michael has been spending a good bit of time visiting the SCT homes and visiting with the staffs, as well as families residing at the homes during their children's treatments for life-threatening conditions. In the midst of such family distress, having the opportunity to visit with one of Britain's legendary stars is a lovely break from such difficult times. And, clearly, Michael is enjoying himself, as well - as the photos below show. The M.C.I.F.A. encourages donations to this wonderful cause at ANY time. In fact, you can direct your gifts to the home that bears Michael's name, which was done in honor of his and the M.C.I.F.A. 's dedicated support of the SCT over the years. It's official!! Michael was made a Commander of the British Empire (CBE) by the Queen in an investiture ceremony in March at Windsor Castle. He was honored for his charitable and philanthropic services, particularly for children's charities. In an article from the Oxford Mail, Michael joked afterwards, "My mother always told me to do things modestly - so I'm not really a good advertisement for any charity." May we respectfully disagree with him, and say that he has been a superb representative for all the charities with which he is involved, and that his modesty has helped make him the man that he is. And we're very sure his mother is very proud of him, as are we all. Photo of Michael receiving CBE from the Queen. Photos from the Getty Images website. BBC News coverage of the ceremony. We know you all send Michael love and huge congratulations for his inclusion on The Queen’s New Year’s Honor’s list, December 2013. It was announced that Michael is a recipient of the CBE (Commander of the Order of the British Empire)! Michael is absolutely delighted and said during an interview with the BBC that news of the award was “...a great surprise, I’m quietly and respectfully very excited." Michael spoke of his humble beginnings and said the award would inspire him to “work harder.” He also said that, "I do thank most sincerely those who are responsible for my receiving this great honour and to all my friends and colleagues at The Sick Children's Trust, I'm proud to be a part of our very special charity." The M.C.I.F.A. is proud to have participated with the Sick Children's Trust in the sponsorship of Michael for this honour. Michael’s Twitter page has lit up with congratulatory messages from all over the world. Well done, and WELL deserved, Michael!! Michael once worked as a waiter at an ABC restaurant in London.